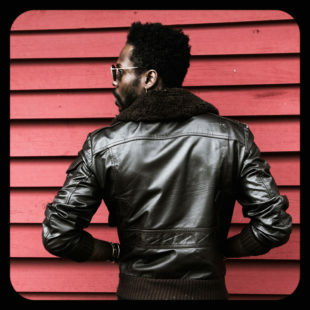 Album Review: Boulevards - "Hurtown, USA"
Raleigh-based modern-funk artist Boulevards (AKA Jamil Rashad) is as prolific as he is undeniably talented and energetic. Since 2015, the artist has released a self-titled EP and a Captured Tracks-backed LP, Groove!, but it was the close of 2017 that saw Boulevards taking stock of it all and reflecting with his latest full-length, Hurtown, USA. Rashad’s background with funk runs deep as his father, a local legend R&B Radio DJ, exposed him to all of the greats in jazz, blues, and R&B. Touches of Grandmaster Flash, Prince, Rick James have always colored the sonic world of Boulevards, but it was the learning curve in working with a label for his last release that found Rashad embracing a back-to-basics approach. The work behind Hurtown, USA also came timed with Rashad’s entering into recovery and sobriety and rediscovering his love of running. With that, Rashad discovered the emotional core of Hurtown, USA would be mining the tumult of his past and reconciling it while getting back to his most authentic self. With composition help from Rollergirl!, Secret Attraction and Isaac Galves and additional vocals from Laura Reed, Boulevards weaves a complete thought that plays like a long night’s worth of ruminations on the dancefloor. Rashad expertly and nimbly examines themes of love, loss, regret and hope juxtaposed against the adrenaline and endorphin activating music. The emotional rollercoaster swings from single to single as Boulevards states his mission statement in the largely upbeat banger “What’s Real” whereas the lights go down low and bodies get a little closer together on the funk ballad “Hurtown.” “Wear & Tear” is the natural middle ground between the two while the Neon Indian collaboration “Nu Burn Ave (Intercruise)” serves as a fun-as-hell chillwave peak. Front to back, Hurtown, USA is Boulevards’ most complete and honest work to date and is an exciting sign of things to come from the artist. Here’s hoping Rashad keeps running towards the future. Catch Boulevards at his Raleigh release show on Janaury 20th.